WWPL now has our own shoddy server! DXRenegade has more information. Hey guys Me and Mala went in together on this one. 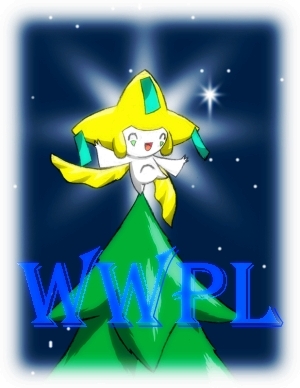 WWPL Has its own server now!!!!!!!!! It will be up 24-7 on my dedicated computer it never gets shutdown unless it needs updates. To get in open up shoddy click on advanced and enter the following. If any issues arise Be sure to PM me or Mala with the issue and we will see what needs to be done about it. Also random battles do not currently work so you must build a team. Thank You and have fun!!!!! ok i got u mean by wut to put down but when u said open up shoddy? how exactly do u do that u have to download something? Friend code : PK: 3995-3687-0529 Brawl: See Sig. MK: See Sig. Shoddy Server is temporarily down will be back up asap. UPDATE: Shoddy server is back up and running again and it now has the platinum move sets and random does work so long as you have already built a team. The only downfall is anyone who was Registered will have to re- register sorry for the inconvenience. And btw to get in the server you MUST register for that server first by clicking on the register tab. Also if you have any issues with the server please PM me so I know and can fix the issue.